Perception (saññā) is one of the five aggregates. It is the activity of mind through which we receive, sort, and interpret sensory data. Depending on our ability to see perception and relate appropriately, we either remain bound to old patterns and conditioning, diversions, and distortions of view, to past and future concerns, even to quarrels and disputes –OR– we learn to skillfully relate to perception and use it to step up the process of liberating the mind. Much hinges on our ability to see and understand the workings of perception and to break up old patterns of attachment and identification. and to discover how our practice helps us navigate around attachment to perception, how it strengthens our capacity to relate in a way that supports the realization of freedom. All participants are required to have completed the 12-week Entering the Path online program. Gloria Taraniya Ambrosia has been a Dhamma teacher since 1990. She is a student of the western forest sangha, the disciples of Ajahn Sumedho and Ajahn Chah, and is a Lay Buddhist Minister in association with Abhayagiri Buddhist Monastery in California. 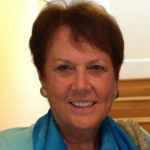 She served as resident teacher of IMS in Barre, Massachusetts from 1996 through 1999. In addition, Taraniya will be offering optional one-on-one practice discussion opportunities. The course fee is $250. This does not include financial support for the Guiding teacher. As is customary at BCBS, there will be an opportunity to offer dāna to the teacher at the end of the program. Registration will be conducted on a first-come, first-serve basis with no application required. There are no planned upcoming iterations of this course.